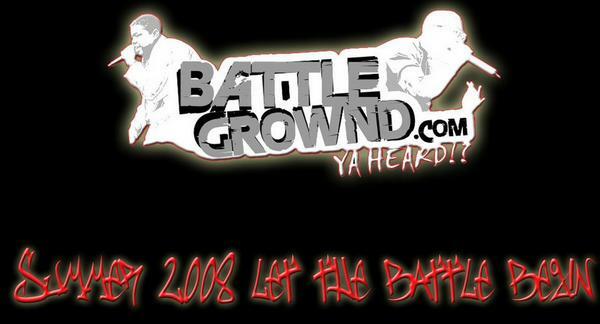 Battlegrownd Entertainment was founded in 2007 and originally hosted Rap Battles. In 2012 we became a Management/ Artist Development hub for independent artists. In 2013 we became an independent record label. We at Battlegrownd Entertainment believe the TRUE spirit of hip-hop comes from the underground. Traditionally hip-hop has always represented hope that regular people could “make it”. Over the last few years, real hip-hop became commercialized and the industry began to appoint artists instead of the people selecting their champs as it always was. #OPERATIONREVOLUTION is dedicated to an uproar in the underground community. We’re taking hip-hop back. THINK YOU HAVE A HOT SONG? Let’s let the people decide if your music is good. Send us a link to your song (if you don’t have a Sound Cloud, send us the Mp3 and we will load it to the blog Sound Cloud) I normally tell folks to make sure it’s professionally recorded, mixed & mastered. Not this time though. If you want to put an unpolished piece of music out that represents yourself, that’s on you. I’m not going to tell you that’s a bad idea. The number of votes will. If you vote for yourself all day long, that’s on you too. See when you buy views or cheat, you only cheat yourself. If those unrealistic numbers can’t translate in to actual dollars? You accomplish nothing more then making yourself feel like a rock star for a few minuets. I’ll post your song for 30 days with a CRUNK IT or JUNK IT poll box. If you fail to label your email in the subject line, your submission may not get posted. Please understand due to the volume of emails Battlegrownd Entertainment receives on a daily basis, it is very important you label properly. Posted on March 14, 2013, in The HipHop Dungeon, UNDERGROUND NEWS and tagged Battlegrownd Entertainment, Free, Freestyle, hip hop, indie, Music, operation revolution, promo, rap battle, Underground. Bookmark the permalink. Leave a comment.